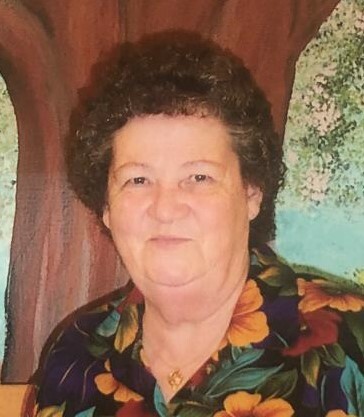 DELORIS MEEKS, 80, of Lenore, W.Va., formerly of Wayne and Breeden, W.Va., went to be with her Lord and Savior on Sunday, December 2, 2018. She was born August 26, 1938 at Logan, W.Va. a daughter of the late James Harrison Marcum and Lou Vina Dent Marcum. Her husband, Thurman Meeks also preceded her in death along with three sisters, Lona Williamson, Peggy Hodge, and Mildred Marcum, and six brothers, Carl, James, Everette, Chester, Clarence, and Franklin Marcum. Deloris was a devoted Christian for 61 years and a member of Harmony Freewill Baptist Church, Wayne. She leaves behind four children, Debbie Lackey and husband Cornelius of Lenore, W.Va., Greg Meeks and wife Tammy, Pam Meeks, all of Ocoee, Fla., and Mark Meeks and wife Ann of Apopka, Fla.; eight grandchildren: Shannon Canterbury, Scott Canterbury, Thomas Lackey, Jennifer Edwards, Erin Difley, James Meeks, Amanda Meeks and Zachary Meeks; nine great-grandchildren; and two great-great grandchildren; all of whom will remember her as a loving and wonderful mother, grandmother, and role model. Also surviving is one sister, Louise Evans; one brother, Leo Marcum; and a host of nieces, nephews, family, and friends. Funeral services will be conducted 11 a.m. Thursday, December 6, 2018 at Laurel Creek Freewill Baptist Church, Lenore, W.Va., with Revs. Cornelius Lackey and James Ed Baisden officiating. Burial will follow in the Shepherd, Kinser, Meeks Cemetery, Copley Trace, W.Va. Friends may call from 6 -9 p.m. Wednesday at the church. Johnson Tiller Funeral Home is honored to serve the Meeks family.